Schumacher Racing certainly know their electric touring cars. Having tasted European Championship success previously thanks to Teemu Leino, this year they took the title they had been chasing for some time, the BRCA National Modified Touring Car Championship courtesy of Chris Grainger. 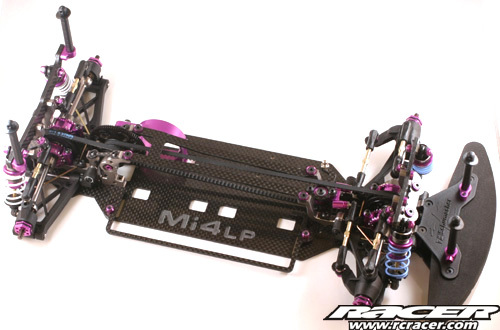 The Mi4LP is the result of the development that took place during the season and takes in all the lessons learned, optimising the platform for LiPo batteries. Here we see it in detail and how it all goes together in the rolling chassis kit build, look out for the full Thrash Test in a forthcoming issue of Racer Magazine. 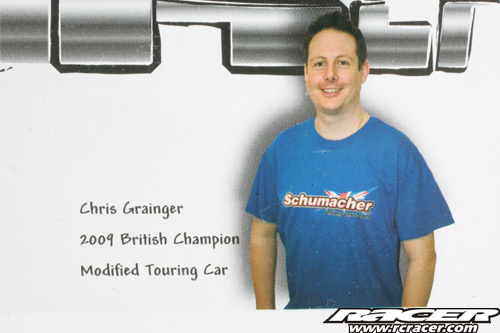 Chris Grainger’s development skills helped to make the Mi4LP a BRCA National Championship winner. Notice Chris has no shoulders, these were deemed unnecessary and removed for added speed. 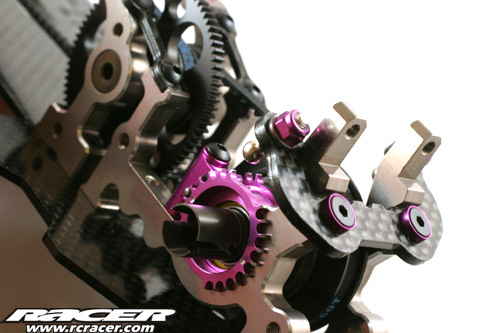 Schumacher pack all the parts needed for individual stages of the build in separate bages making parts location easy. Before we started screwing anything together, we sealed the carbon components with cyano glue to help stop delamination in impacts. Steps 1-3 of assembly deal with attaching the main alloy bulkheads to the carbon fibre chassis plate. The bulkheads are beautifully machined, quality of manufacture is high on this kit and Allen headed fasteners are used throughout. 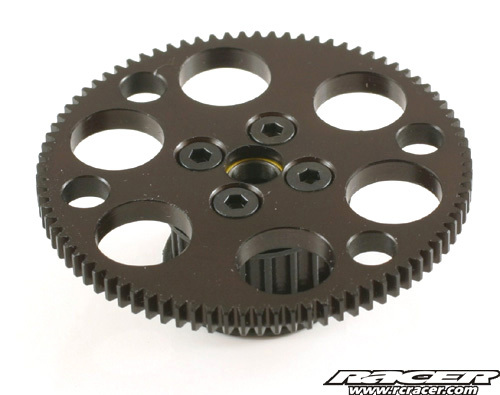 Next up comes the spur gear and centre pullies in stages four and five. 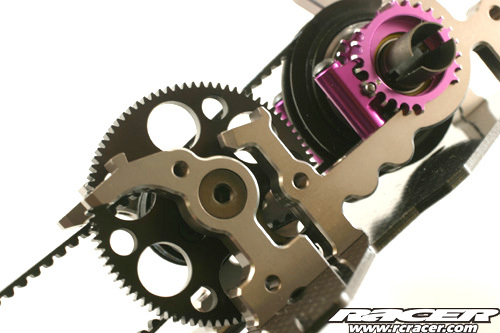 This all goes together easily and the machined spur gear provided in the kit is an 85 tooth 48dp part. Onto the rear differential. This ball unit uses bellville washers to put pressure on the thrust race. Getting the belt guides to snap onto the main pulley is hard work but otherwise this all goes together really easy and when set as set suggested in the instructions, feels super smooth. The front end uses a solid spool. 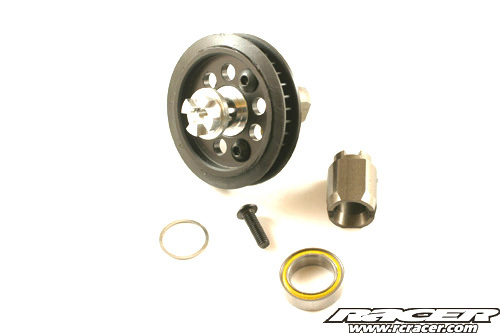 The design uses a lightweight alloy axle and separate outdrives so if it wears, only these need replacing. All went together without problem although again the pulley guides were hard to snap into place here. 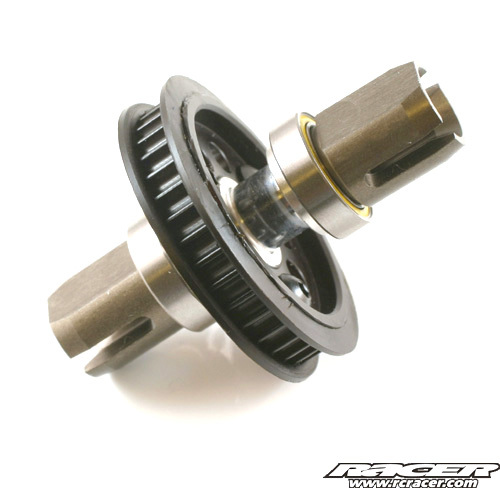 The Li4LP has two options for intalling the transmission, swapping the belt positions for more space depending on your electrics and batteries to achieve a better left to right weight balance. The cars design allows this change to be done without a major stripdown too. We went for ‘Option 2’ as this is what the Grainger and Ashton setups included in the manual use. 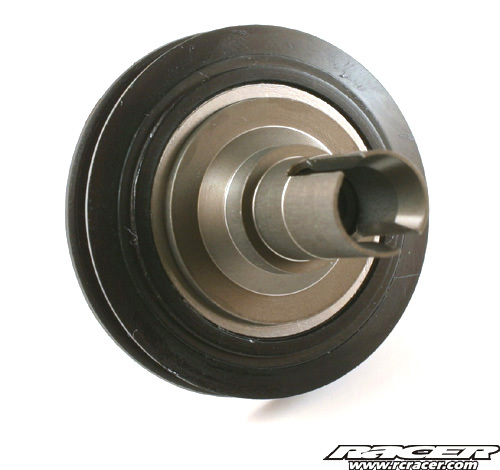 Quality of component manufacture is superb and the design of the belt tensioners super sweet. The diffs can be taken out by removing just two screws. The top deck and rear trasmission braces are next fitted. 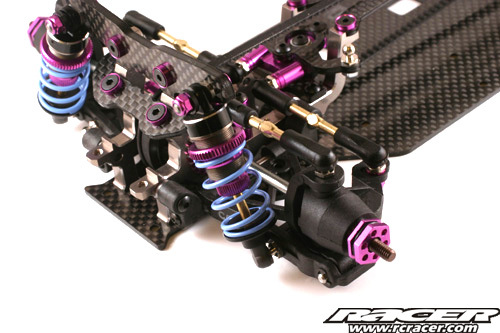 These both have optional parts available in different thicknesses of carbon fibre to tune the chassis’ flex properties. 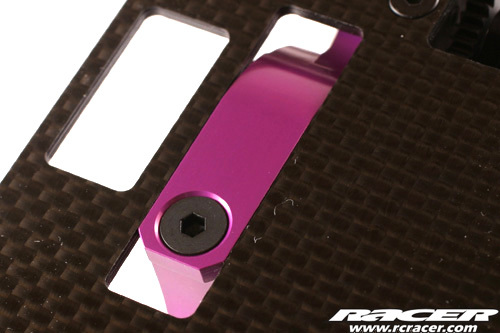 Next added are the camber link mounting plates. 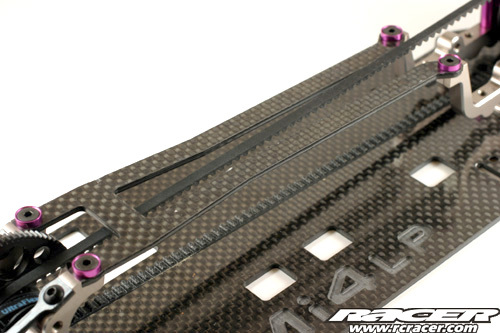 Made from carbon fibre, these brace the bulkheads ar the front and rear ends of the car. Onto the steering bellcrank. 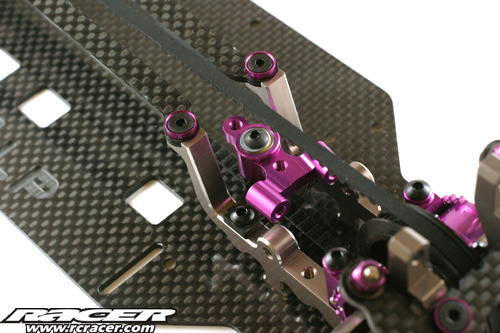 Made up from alloy and carbon fibre parts, it is adjustable for Ackermann by using spacers under the track rod balls. 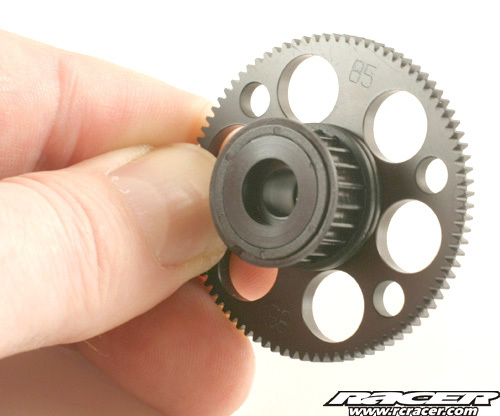 Our bellcrank needed the addition of a small shim under the main screw and washer as it was binding slightly. 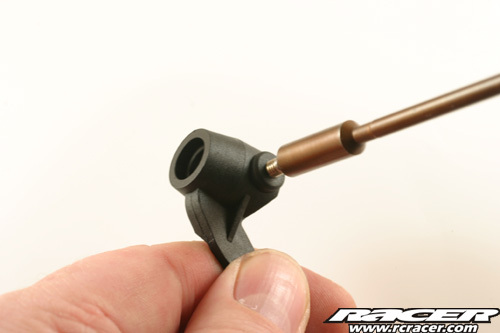 A brushed motor armature shim was ideal for this. 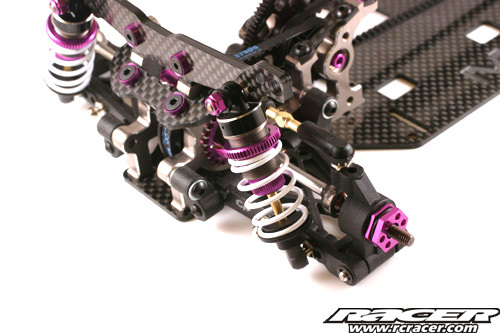 Rear suspension assembly. 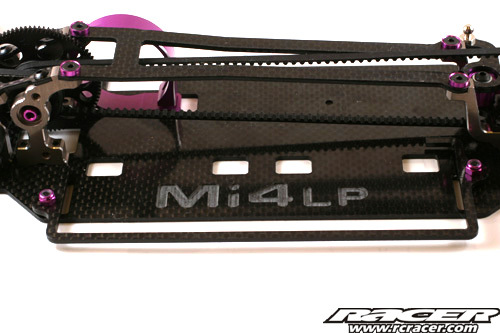 The Mi4LP uses new, stronger CVD driveshafts which incorporate their Blade to save wear on the outdrives. 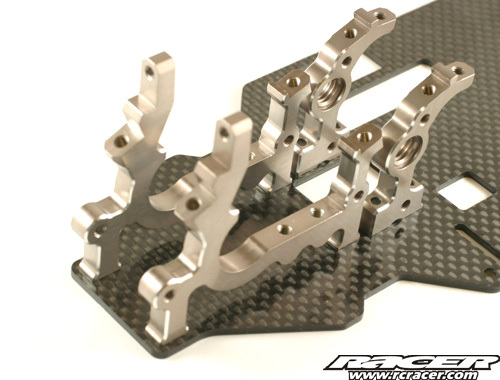 Wishbones are hard CF composite material and turnbuckles are lightweight items. The rear end uses zero degree hubs, all the toe-in is inboard and wheelbase is adjustable both inboard and outboard. We needed to sand one of the inboard wheelbase adjustment clips slightly here to let the suspension drop under its own weight. 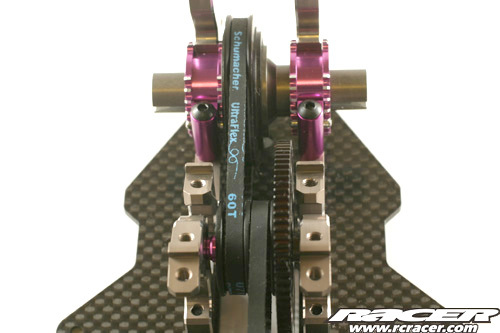 At the front end, before assembly, Schumacher recommend tapping the steering knuckles to make sure the knig pins go in straight and don’t bind. This is sound advice. 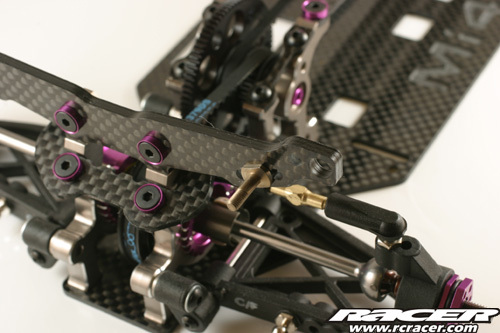 Again, CVD’s, lightweight turnbuckles and CF composite wishbones feature and as with the rear, the clips needed fettling to ensure free movement. 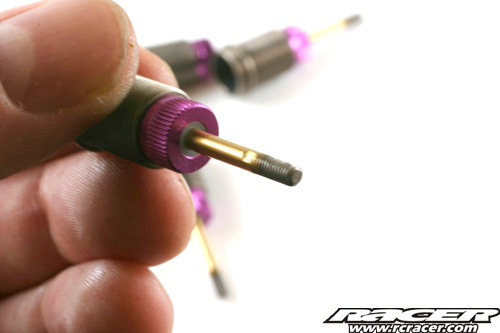 Also, don’t overtighten the king pins, this can also bind the steering. 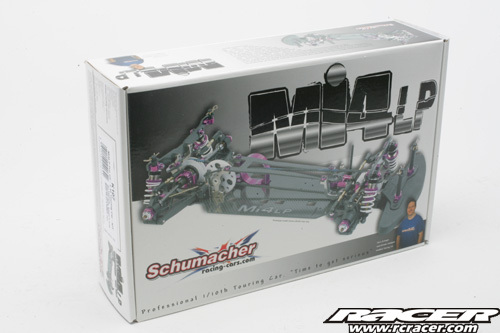 Schumacher also use a new design of ball cup throughout the Mi4LP offering a more positive fit than previous. 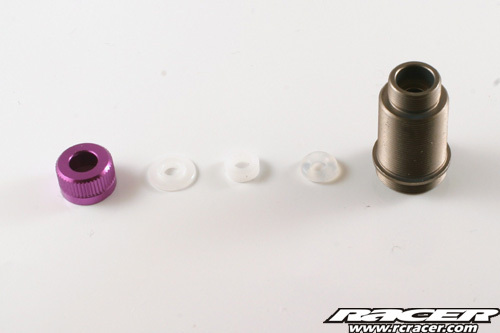 The wishbone inner hinge pin spacing can also be adjusted for width as per the rear, the instructions and kit building with one grey washer here. Castor blocks are four-degree items. 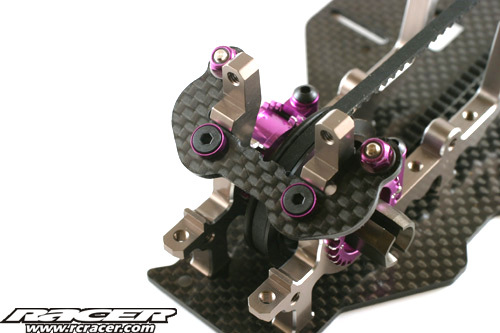 The carbon fibre shock towers are also attached. 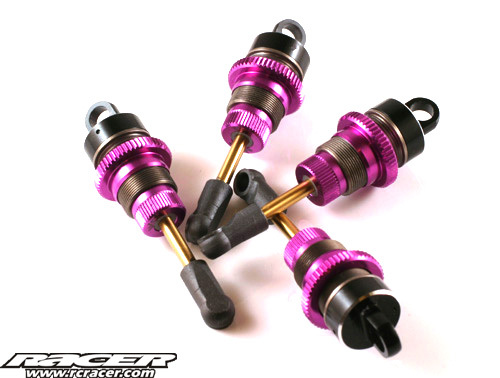 Featuring a multitude of holes for shock position, the use of mountings that use locknuts on the rear mean that this option can be changed quickly. 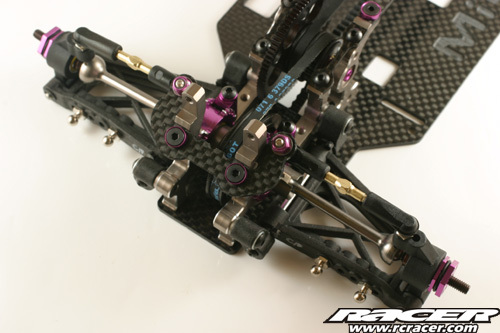 The shocks are then installed on the chassis. Stiffer blue springs are provided for the front and white for the rear. The good news here is that these are the springs that both the Chris’ setups use in the manual so there is no real need to get more springs from the outset. Getting close to completion of the rolling chassis now with the attachment of the bumper and body mounts. 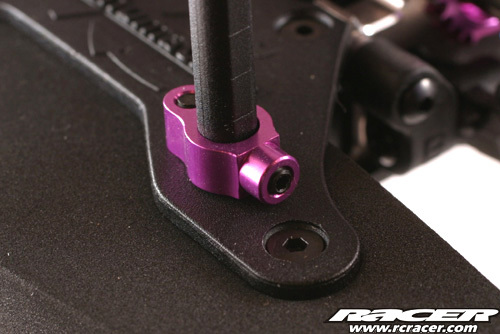 For extra security, the body post retainers are machined alloy and offer a very positive and infinitely adjustable height location. The final parts to go onto the chassis are the motor mount and battery locator. 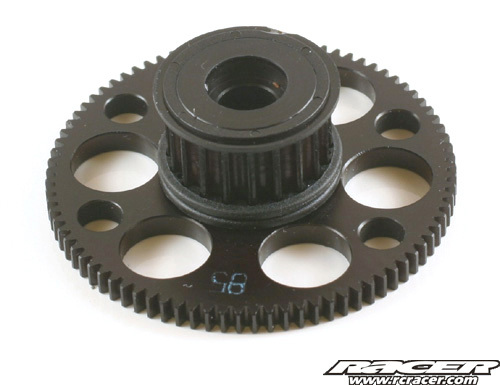 The motor mount is of the alloy clamp type and has a large range of fore and aft adjustment for different gear ratios. 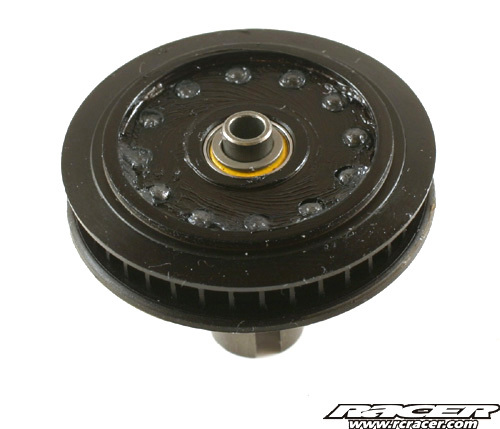 The added bonus here is that you can remove and replace the motor by loosening a single screw and if you are using the same pinion, the gear mesh will already be set! 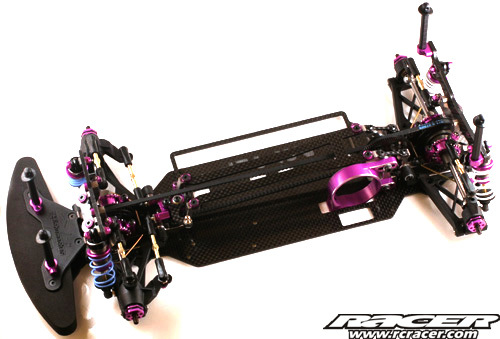 The finished Schumacher Mi4LP rolling chassis. 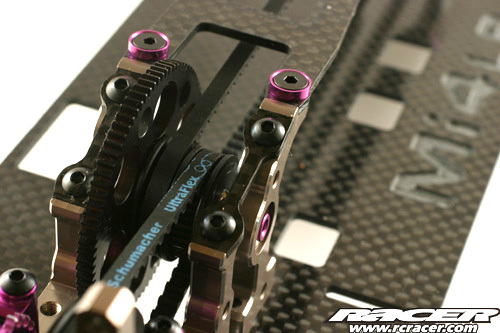 From this build we can see that Schimacher Racing have really upped their game. The car is a proven winner and the quality is superb, equalling those manufacturers that are renowned for it overall and surpassing with some details. Any niggles? One or two minor ones…Some may think that the need to file and shim parts such as the suspension clips and steering bellcrank shouldn’t have to be done, maybe so, this is a personal opinion but I would rather have the option to do this myself rather than a load of slop appearing after a couple of meetings use, so to me, this is no issue. The only thing we could maybe pull up on would be the way the kit is built out of the box. 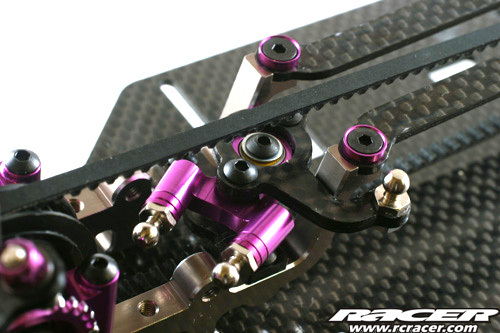 Both of the UK setups use 1.4mm front roll bar and a 1.2mm at the rear, yet two 1.4mm bars are in the kit. 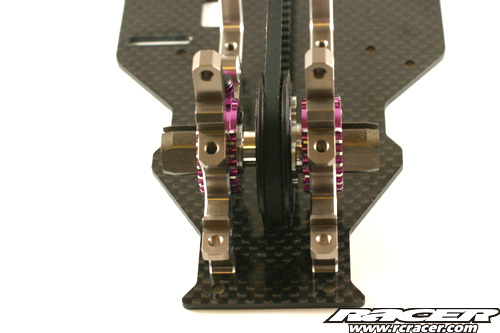 Also, the front end is built with a 1mm inboard pivot spacer and standard width hexes and again both setups call for 2mm spacing and narrow hexes. 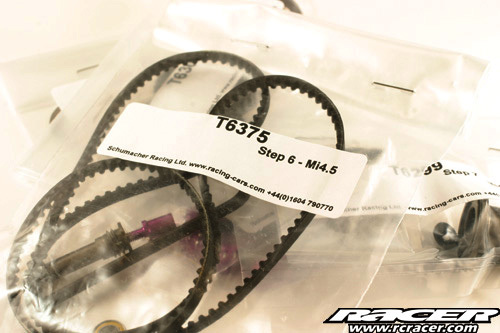 So if you want to replicate the setups in the manual you need to buy parts…seeing as what I have mentioned aboove is common to both setups, we are left wondering why they wern’t incorporated into the stock kit. I’m sure Schumacher have their reasons…However in truth this is minor and we will test our Mi4LP from the outset without these little changes, i.e. kit stock. 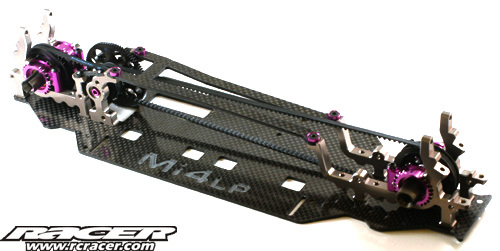 New narrow Aerospace carbon fibre chassis optimised for both LiPo and lower weight limits. 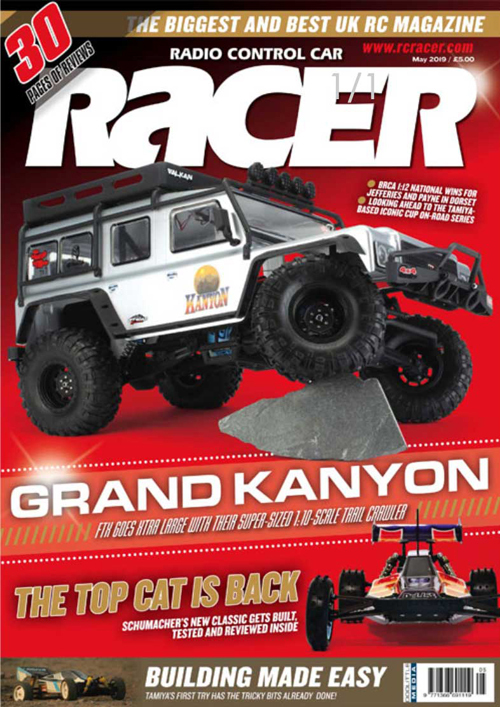 Narrow chassis also prevents corner grounding increasing mid corner traction. 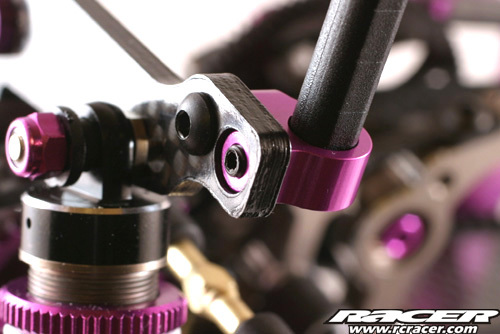 New quick release layshaft design with single sided mounting for improved flex through the transmission. New ability to flip transmission to change weight balance for any choice of radio gear. 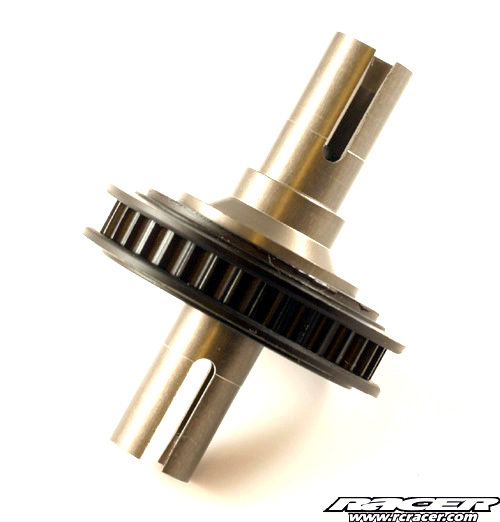 New black slim lightweight CNC machined diff and spool pulleys. 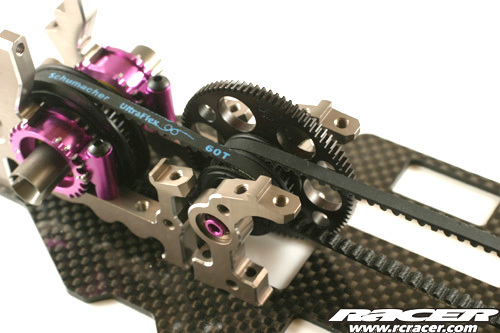 Efficient transmission with twin Kevlar belts and New precision black CNC pulleys. 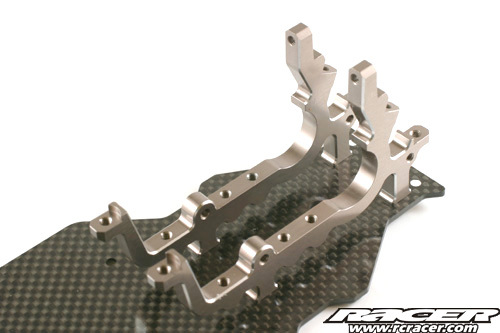 New Shorter & Stiffer carbon fibre wishbones for increased traction and corner speed. 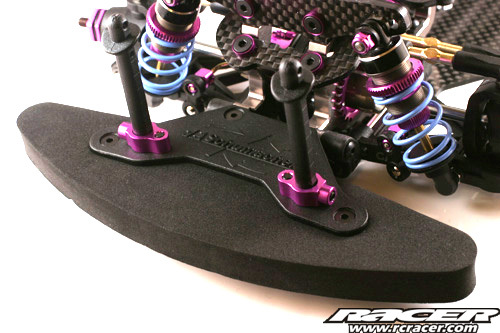 New Xtra flex yokes for more steering and improved impact absorption. 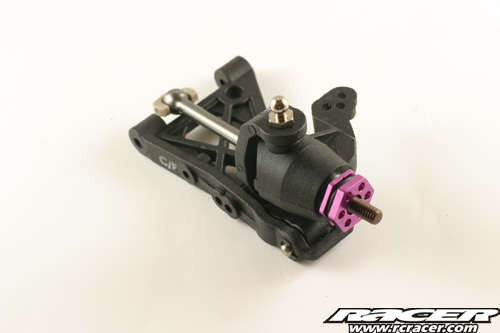 Clamp motor mount to adjust motor centreline position and therefore side to side weight distribution. The car can be perfectly balanced with any LiPo and choice of radio gear. 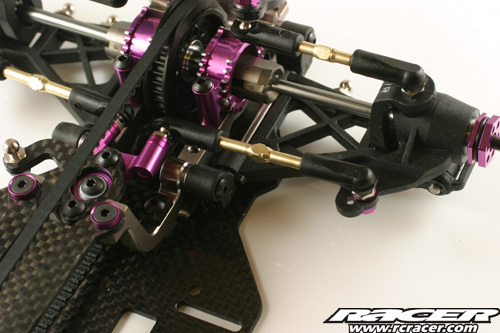 Split rear transmission housing with options to adjust chassis stiffness, combined with long top deck design to optimise chassis flex and increase traction and corner speed. 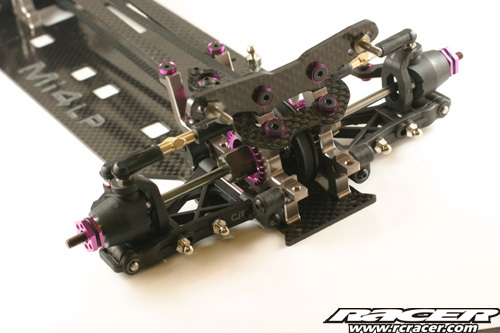 Optimised carbon fibre upper link design with options to adjust roll centres. Centre point steering with forward facing balls to fine tune geometry. Fully adjustable Velocity Ratio, Ackermann Angle and Ackerman Rate. 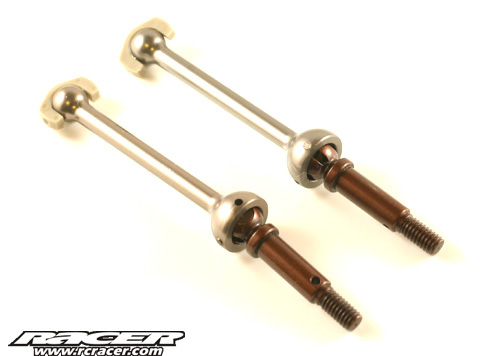 Ultra low anti roll bars, with anti roll bar mounts with precise vernier adjustment to minimise play. 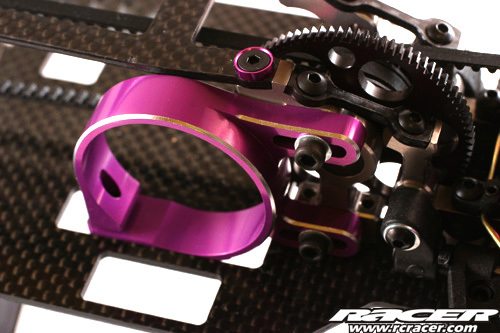 Purple alloy lightweight O ring retained wheel hexes. 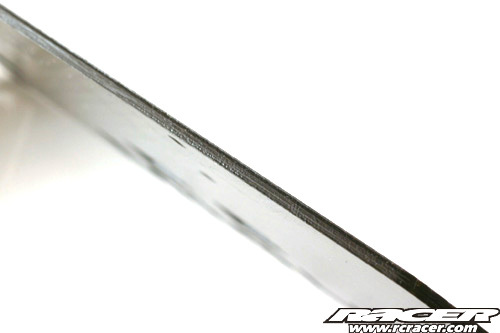 Strong lightweight moulded pivot blocks with optimised roll centre for most conditions. 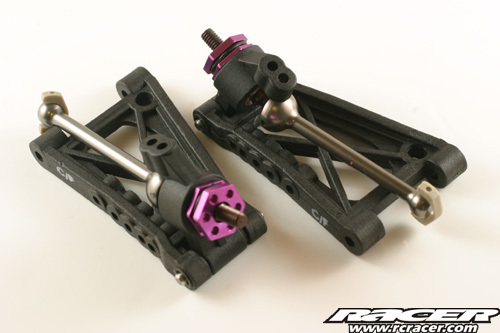 Stiff 3mm shock towers with multiple shock positions incorporating wide rear body mount for better stability & traction. 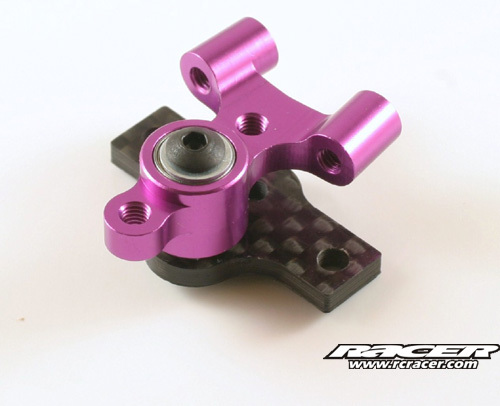 Optional alloy twin pivot block system allows infinite adjustment of roll centres, toe-in, anti-squat, and track width on front and rear. 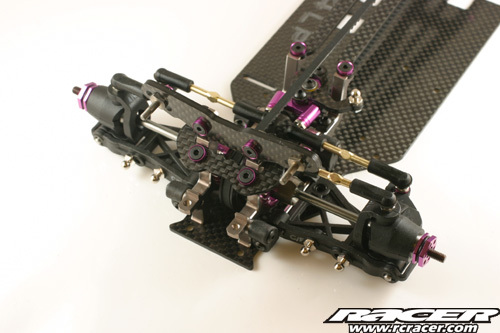 Fully adjustable, suspension geometry, wheelbase, castor, camber, roll centre, track width, Ackermann, droop, anti dive, anti squat, (with optional blocks) front toe in/out, ride height and much more. 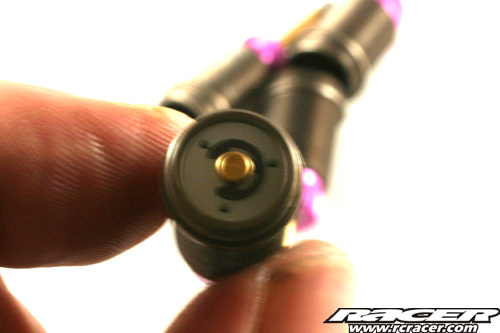 Quick release diffs – Just 2 screws! Symmetrical chassis layout with few screws minimises tweak, including non load bearing motor mount for perfect symmetry. 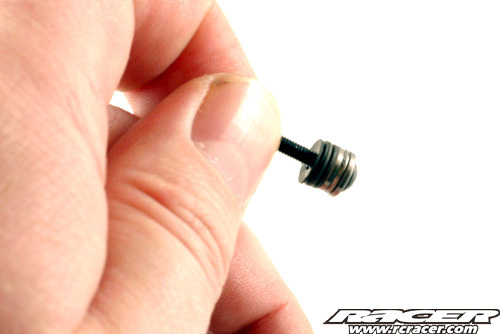 Ultra smooth Nickel Teflon plated threaded alloy shock absorbers for extreme smoothness and durability. 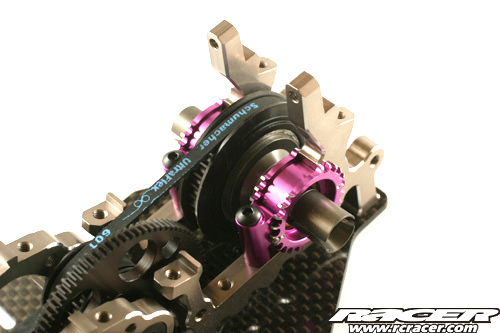 Lightweight machined black diff pulley, Ceramic diff balls, aerospace thrust bearing. LiPo battery fixing with tape or optional battery strap with mini LiPo locators.